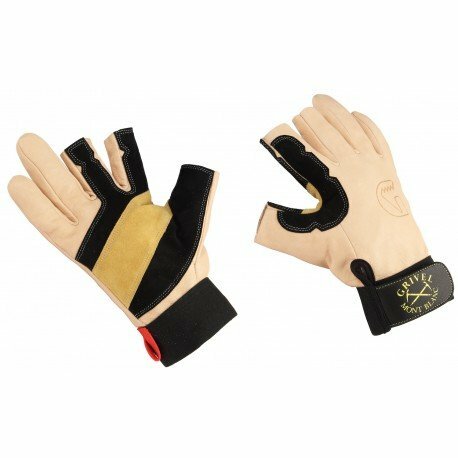 Each glove features a carabiner clip in loop and velcro wrist. This glove features a three layer palm protection. The glove also comes with two half fingers for easier control during delicate operations on the wall.